The opioid crisis has taken our nation by storm, claiming an average of 78 victims a day, all of whom lost a vicious battle with opioid addiction. According to the National Governors Association, the current epidemic is being fueled by inappropriate opioid prescribing, as 4 out of 5 heroin users reported misusing prescription opioids before switching to heroin. Now, governors across the United States are taking action against the epidemic with a range of public health and safety strategies that address everything from prevention to treatment to recovery. In order to successfully attack the opioid crisis head on, they’ve decided to create an Opioid Road Map which will act as a tool to outline these strategies for states nationwide. The Road Map was developed by the National Governors Association (NGA) to help states respond to the growing crisis of opioid abuse and overdose, as well as strengthen law enforcement efforts and abilities to address illegal activity. The individual state can either follow the road map step-by-step or they can pick and choose which pieces to utilize based on their needs. To develop the Road Map, the NGA worked with 13 states between 2012 and 2015 to create effective statewide programs to battle the opioid epidemic. Input was received from multiple stakeholders including pain specialists, law enforcement officials, health care payers, substance use disorder treatment professionals, and more. Numerous resources were shared in order to build this Road Map and having the ability to optimize and utilize the data collected from state Prescription Drug Monitoring Programs (PDMPs) was key to the Road Map’s creation. The PDMPs of individual states is a database that contains controlled substance prescribing and dispensing data submitted by pharmacies and prescribers. This information is used to monitor and analyze all prescribing activity for use in abuse prevention, research and law enforcement. In regards to the Opioid Road Map specifically, the NGA is encouraging states to use their PDMPs as a tool for prescribers to gather real-time information on prescription opioids, and to analyze trends and outcomes associated with policies and programs. Since these Prescription Drug Monitoring Programs already exist within forty nine states, it would be beneficial to utilize this data not only for preventing occurrences such as “doctor shopping” (people seeking multiple pain prescriptions from multiple prescribers) and identifying at risk patients, but also for achieving goals put forth by the Road Map in relation to research, law enforcement, and policy reform. By utilizing the Road Map, states will find background information on the current issue of opioid abuse and which factors are involved with prescription opioid misuse and addiction. 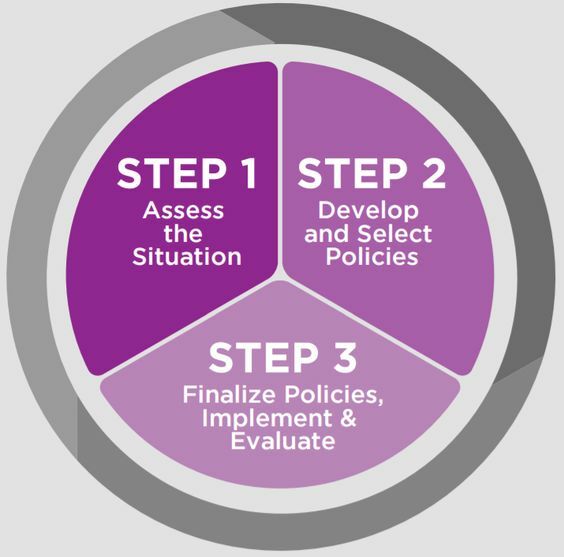 They will also have access to the different steps outlined which act as a how-to guide for assessing the situation, selecting policies, and evaluating initiatives. Another item of value they could get from using the road map is a summary of evidence-based health care and public safety strategies to reduce opioid abuse. By utilizing the Road Map, states will be able to work together to not only brainstorm about how to prevent and respond to the opioid epidemic, but more importantly, they will be able to put a plan into action which will achieve those defined objectives, with the ultimate goal of saving more lives in the process.